The company, Sinus Survival, was a natural evolution from 30 years of research and discovery in respiratory care. Dr. Ivker became motivated to “cure” his own chronic sinus condition when an ENT physician told him that, “You will have to live with it”. Dr. Ivker felt like it was a death sentence since he could not imagine going through life with the pain and symptoms that he had. As a family physician and as a businessman who built one of the most successful family medical clinics in Colorado at the time, he made it his goal to find a “cure” for his affliction. Through his determination, research, testing and self-trials he not only cured his own condition, but has developed a world-wide reputation for successfully treating most respiratory and chronic conditions. In the case of his own patients he has documented a success rate of 92.5% in achieving a substantial improvement to eliminating chronic conditions to feeling fully alive again. Many followers of the program commonly state that the feel better than they have in 20 years. Due to the success of Dr. Ivker’s treatment program, he was urged by a close friend to write a book. SS is now in its 4th edition and with over 470,000 sold. Through lecture tours, and book tours, co-founding the ABIHM (American Board of Integrative and Holistic Medicine) and with his leadership in the holistic field, Dr. Ivker has become the leading authority on respiratory care. Many practitioners from around the country now utilize his treatment program creating better outcomes than that of conventional medicine. Howard Goldberg, successful CEO of a number of packaged food companies, business leader and brother-in-law, developed the structure to deliver the Sinus Survival Program to a wider audience with Dr. Ivker’s all-natural products. Mr. Goldberg became involved in working with natural herbal companies chief product development to formulate Dr. Ivker’s products from his 30 years of research and discovery. To this day, even the earliest of Dr. Ivker’s patients still utilize his products to maintain a healthy sinus environment and healthy life. The company’s approach to individualization and helping others to create their own break-through experiences has generated continued growth and builds on one successful outcome at a time. Sinus Survival grew to over 30 respiratory products for sinus health, asthma, allergy, lung support, environmental support, respiratory health, lower GI, supplements and overall health. The Sinus Survival Spray is a leading all-natural spray in this segment and a staple for daily sinus health. 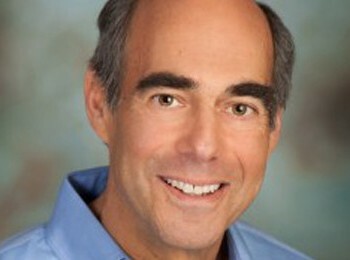 Dan Gay, Chief Marketing Officer, joined as a consultant to Sinus Survival. Mr. Gay’s experience includes successful start-up experience and leading roles as an executive in marketing and sales leadership with numerous Fortune 500 companies. His connection actually came through seeking his own relief in calling Dr. Ivker 3 ½ years ago. Through his own breakthrough experience as a 20 year chronic sinus sufferer – who had sinus surgery and went to the greatest lengths to find relief, he finally found it with Dr. Ivker. Attending one of his lectures, becoming a patient and eliminating his affliction turned him into a believer and a passionate cheerleader for the company. You can read his story under the Patient Story section. 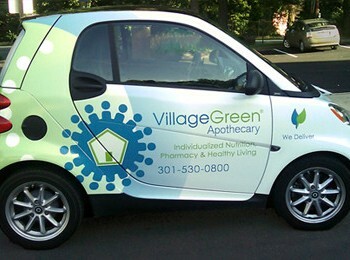 In the 4th quarter of 2010, Sinus Survival entered into a joint partnership arrangement with Village Green Apothecary, based in Bethesda, MD. Mr. Gay helped to orchestrate the venture and became the Chief Marketing and Sales Officer for Village Green and Sinus Survival. Village Green has been a monument in the capital city, located across from the National Institute of Health. Founded in 1965 as a compounding pharmacy, Village Green now offers over 500 physician brands and over 10,000 products from supplements and nutritional support to body care items. Village Green is focused on specialization and individualization with individualized testing and compounding, on-call nutritionists, chemists and a dedicated staff to your health. On July 20th, 2011, Village Green Acquires Sinus Survival Products company to continue to expand on the Sinus Survival program. Individualization = the epic pinnacle in health care (but the secret is that it doesn’t cost much more than what you may be paying now). Everyone’s needs are different, why take supplements, multivitamins, hormones, amino acids and other nutritional products which are made for the masses? Through individual testing Village Green will provide the exact match needed for your own individual needs. By providing the highest quality product matched with the essentials for the right absorption, you will receive what your body needs. Many internet brands and over-the-counter supplements contain binding agents, lower quality ingredients and in dosages which may not even benefit you. Why spend money on something that isn’t benefiting you? Marc Issacson is a leader focused on molding the future of healthcare. Mr. Issacson acquired Village Green eight years ago. Prior to Village Green Mr. Issacson founded and grew a successful beverage company in addition to his other successful endeavors. His passion for healthcare is evident in his company’s growth as well as the organizations where he is an active member. In combination with the already proven Sinus Survival delivery system, Dr. Ivker and Todd Nelson, ND’s focus on practitioner training and delivery, Sinus Survival products and the Village Green individualized support programs, the Respiratory Healer Network has a proven 30 year track record and now an extended team to support their practice. Better Outcomes = Expanded Business.